Are you an experienced background investigator supporting the OPM program? CACI has been a trusted vendor with a proven and respected track record on conducting Background Investigations Fieldwork Services for OPM/NBIB contract since 2004. We have investigators in all 50 states and U.S. territories. CACI remains steadily consistent in how we approach the work – and we believe the mission is an overall Team effort! Our mission at CACI is to provide realistic, consistent and obtainable goals, while supporting our nation’s national security mission. We are Ever Vigilant! - A current and trained OPM/NBIB Credentialed Investigator (must have SID Number). Other Investigation Certifications not recognized. This requirement will not be waived and will meet with application disqualification if not a current and trained Credentialed Investigator (must have SID Number) supporting OPM/NBIB. - Must have a current and verifiable favorable T5/SSBI. This requirement will not be waived and will meet with application disqualification if not current. - A bachelor's degree or equivalent and experience conducting Background Investigations in support of the OPM/NBIB mission. 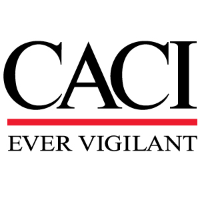 CACI provides information solutions and services in support of national security missions and government transformation for Intelligence, Defense, and Federal Civilian customers. A Fortune World’s Most Admired Company, CACI is a member of the Fortune 1000 Largest Companies, the Russell 2000 Index, and the S&P Small Cap 600 Index. CACI’s sustained commitment to ethics and integrity defines its corporate culture and drives its success. With approximately 20,000 employees worldwide, CACI provides dynamic career opportunities for military veterans and industry professionals to support the nation’s most critical missions. Join us! www.caci.com.